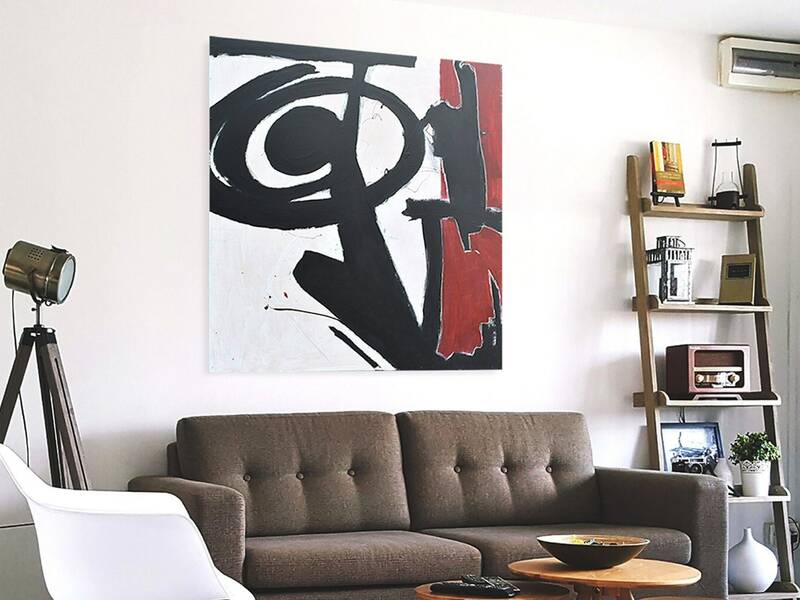 Original large abstract painting in red and black acrylic on wood panel. 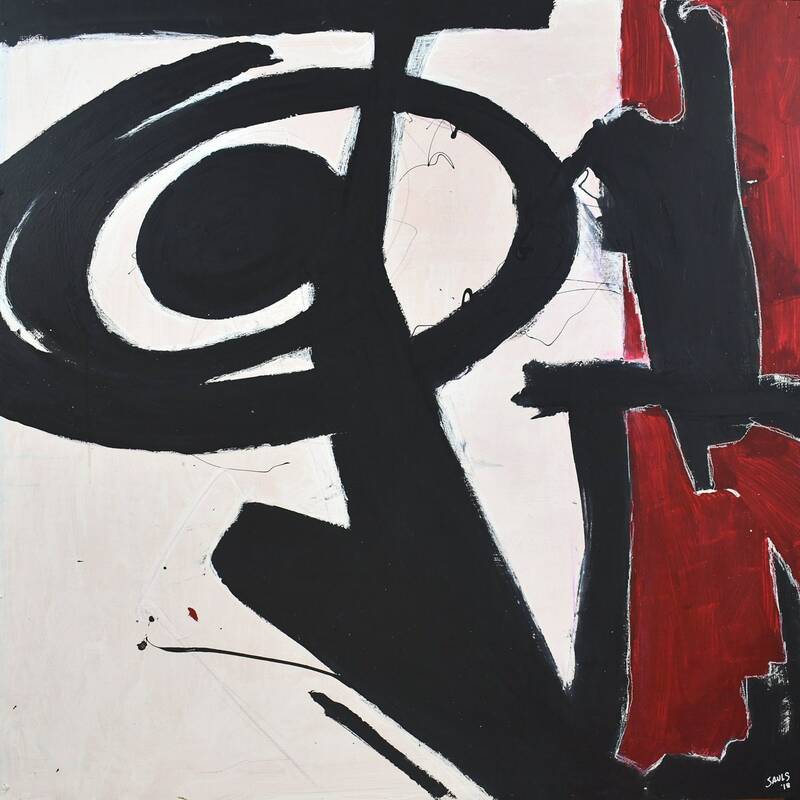 A contemporary painting with abstract red and black strokes of paint, hand-painted with a subtle texture on a large wood panel. The wood panel can be framed or hung and floated off the wall. Either option will give the art a finished appearance. This large abstract painting is ready to hang. The painting would make a great addition to modern living rooms, dining rooms, entryway, wall niche, office and large neutral spaces. It would also be a unique housewarming gift, wedding gift or birthday gift. 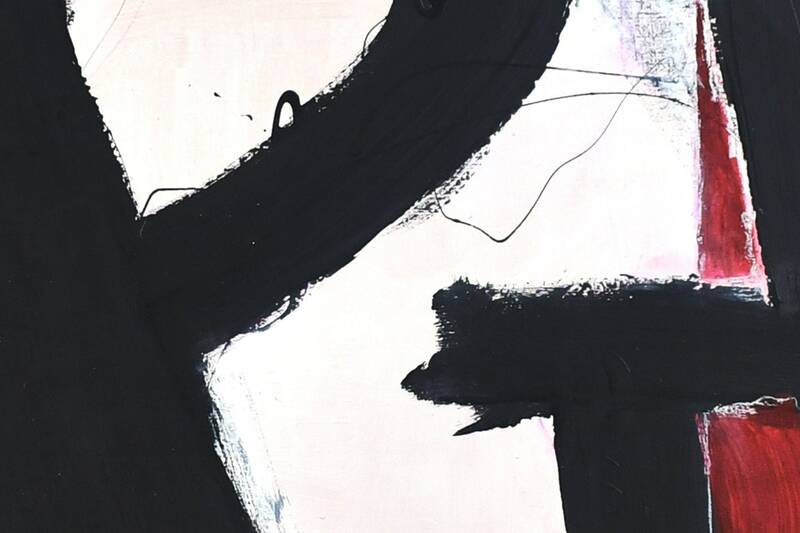 All of my abstract paintings are modestly signed on the front-bottom-right or on the back of the art. I use FedEx and UPS for large artwork and USPS for smaller art. All orders require signature confirmation upon delivery. Tracking number is included. Signature required at delivery. International Customers - International shipping can be provided upon request. Due to the size of some of my art, shipping can be a lot more than shipping to the US and Canada. Please send me a message with your address and I will send you some shipping options. International customers are responsible for any taxes and duties imposed by their country. ©Dean Sauls - Sauls Creative. ©2018 All Rights Reserved.